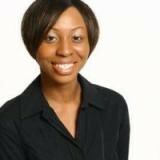 Ebony Hunt is Global Program Manager of Digital Marketing at Hilti Corporation and CEO of The 7 Agency, a project management consulting firm for enterprise companies and entrepreneurs. Ebony has served in project management for over 12 years defining operational strategies, developing pragmatic solutions, motivating high-performing teams, and delivering global software solutions with companies such as 7-Eleven, Inc., AT&T, and JCPenney. Ebony earned a degree in mass communications from Texas Women’s University and a Master of Public Administration degree from University of Texas at Dallas. Ebony remains passionate about inspiring young adults about education and financial literacy by volunteering with various organizations. Check out the incredible speaker line-up to see who will be joining Ebony.